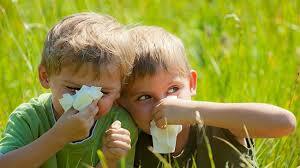 Children who experience persistent allergies to cow&apos;s milk may remain shorter and lighter throughout pre-adolescence when compared with children who are allergic to peanuts or tree nuts, according to a retrospective chart review to be presented March 4, 2018, during the American Academy of Allergy, Asthma & Immunology/World Allergy Organization (AAAAI/WAO) Joint Conference. "The relationship between food allergies and childhood growth patterns is complex, and we have an incomplete understanding about the influence food allergies have on children&apos;s growth," says Karen A. Robbins, M.D., a pediatric allergist/immunologist at Children&apos;s National Health System and lead study author. "Our study begins to fill this research gap but further study is needed, especially as children enter their teens, to gauge whether these growth deficits are transitory or lasting." Approximately 6 percent to 8 percent of U.S. children suffer from a food allergy, according to the AAAAI. Eight food groups account for 90 percent of serious allergic reactions, including milk, egg, fish, crustacean shellfish, wheat, soy, peanuts and tree nuts, the Centers for Disease Control and Prevention adds. Allergy to cow&apos;s milk in particular can foreclose a wide array of food choices during early childhood, a time when children&apos;s bodies undergo a series of growth spurts. "We learned from our previous research that there is a continuum of risk for deficits in height and weight among children with food allergies, and kids who are allergic to cow&apos;s milk are at heightened risk," Dr. Robbins adds. "They never have had cow&apos;s milk in their diet. Looking at food labeling, many items &apos;may contain milk,&apos; which severely narrows what could be a wide variety of food items for growing children. They also frequently have allergies to additional foods." To gauge how specific food allergies impact children&apos;s height and weight, the study team conducted a longitudinal chart review for 191 children. To be included in the study, the children had to have at least one clinic visit from the time they were aged 2 to 4, 5 to 8 and 9 to 12 years old, ages that span from early childhood to preadolescence. From each clinical visit, the research team recorded weight; height; co-morbid conditions, such as asthma, eczema and seasonal allergies; and use of inhaled corticosteroids. "Children who are allergic to cow&apos;s milk had lower mean weight and height when compared with kids who are allergic to peanuts and tree nuts," she says. "These growth deficits remained prominent in the 5- to 8-year-old and the 9- to 12-year-old age ranges." Dr. Robbins says future research will explore whether older children with cow&apos;s milk allergies begin to bridge that height gap during their teen years or if growth differences persist.